The new Kia Sorento, available in the south west across Howards Group’s 12 showrooms, is a smart choice for anyone wanting a mix of practicality and style. Known mainly for being a choice more sensible than a head boy’s haircut, the Kia Sorento has always offered practicality and value. But the latest incarnation from the Korean manufacturer promises refinement and quality by the bucketload. It’s also big. It’s so big that if you don’t already have a family or large dogs, you might want to consider them just to justify your purchase. The good thing is, the Sorento doesn’t look bulky. In fact, it looks pretty sleek, thanks to a smart grille and spoiler. It’s the Merc-like refinement that buyers will appreciate most, though. You can barely hear the engine from inside the cabin and you’ll need to rev it pretty hard to be aware of any engine noise. 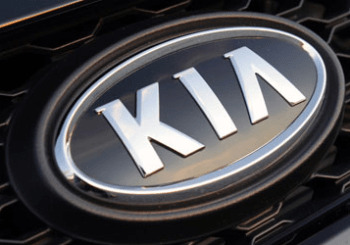 Kia has updated the 2.2-litre diesel engine. The six-speed manual version will whisk you from 0-62mph in nine seconds. You can add half a second for the automatic. There’s a silky-smooth gearbox and plenty torque from the engine. The body feels under control and the whole shebang is unlikely to fail any ‘elk tests’. If you’ve got one eye on running costs, you might prefer the manual over the automatic. This brings emissions down from 174g/km to 149g/km and you should achieve 49.5mpg, around 7mpg more than the auto. But back to the size. This is a big boy’s toy. Or girl’s. Saying that, you can upgrade to get a 360-degree camera. That, the parking sensors and steering that’s lighter than a soufflé, should make general manoeuvrability a doddle. But the hallmark of any Sorento is practicality and the new generation doesn’t disappoint. Bootspace with the third row of seats down has increased from a decent 515 litres to a humungous 605 litres. Time to think about those dogs. It gets even better when you factor in the underfloor storage compartment, too. What about legroom? Unless you’re taking a party of Basil Fawlty lookalikes to some strange convention, there’s plenty of that. In fact, space is very impressive, including more than adequate headroom. You can get kids comfortably into the third row of seats, although adults might feel a little squished on longer journeys, thanks to the raised floor. In general, though, the Sorento works wonders as a family car. To test-drive the new Kia Sorento in Somerset or Dorset, call Howards Group today on 01934 332700 or email us here.